When it comes to proposing there’s a lot of creativity out there. 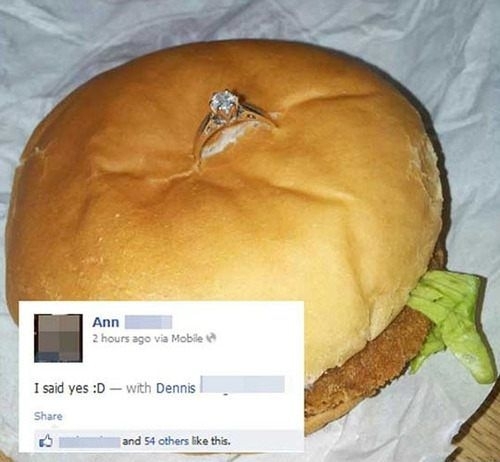 Like the guy who proposed with a diamond ring in a burger (would you like fries with that?) 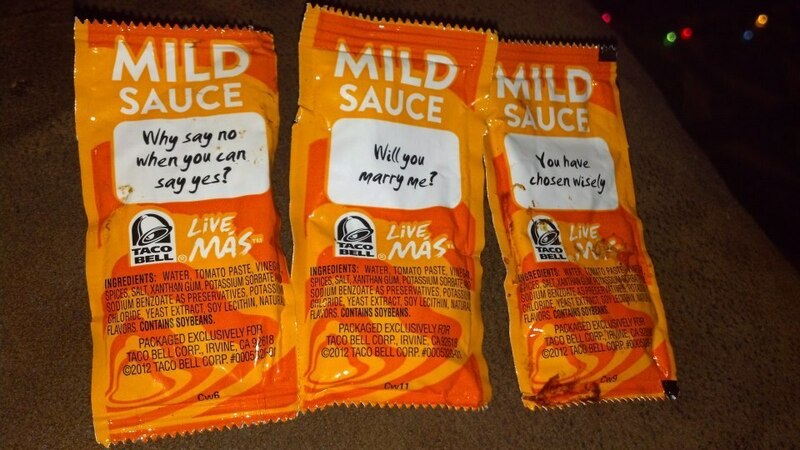 If you are stuck for ideas you could always pop into Taco Bell and buy a packet of sauce (or two). 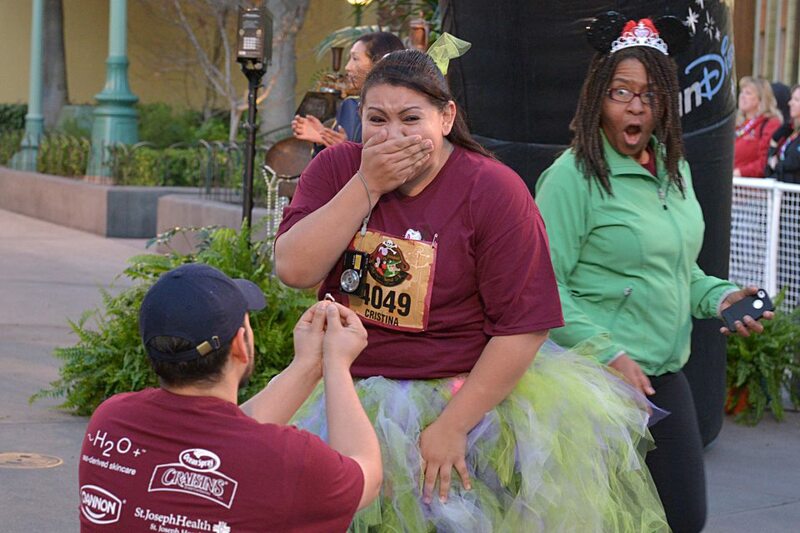 Sometimes though everything turns out as if it was planned by Disney and the surprise proposal goes without a hitch. 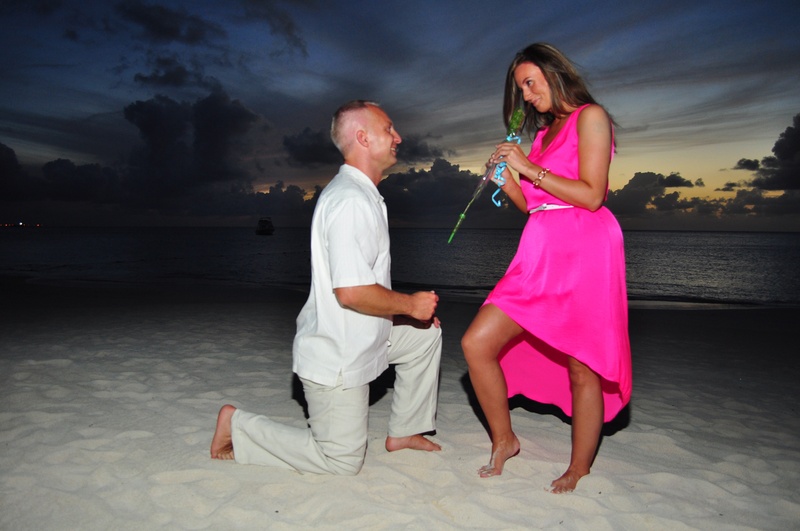 Dean and Jodi of Calgary got engaged in Antigua when they were really supposed to be in Los Cabos. Some last minute high secret negotiations between Dean and yours truly resulted in a change of venue and a dinner engagement on the beach at Sandals Antigua that had Jodi in tears (of happiness of course). Now of course Dean has raised the bar for all you un-engaged and uncommitted males out there. It’s way more romantic to propose on a tropical beach than at your local fast food outlet and I personally am happy that the ring is on Jodi’s finger and not at the bottom of the sea off the coast of Antigua.